Dhaka, Oct 15 : The Asian Productivity Organization (APO) and Centre on Integrated Rural Development for Asia and the Pacific (CIRDAP) have signed a document to facilitate bilateral cooperation and support collaborative research and capacity-building initiatives in the Asia-Pacific region. The memorandum of understanding (MoU), signed on Monday, Yogyakarta, Indonesia, will facilitate productive relationships and exchanges in fields of common interest, including agriculture and rural development projects. The agreement, which was signed after a bilateral meeting during the 59th Workshop Meeting of Heads of National Productivity Organizations in Yogyakarta, will enable the APO to support member countries in executing capacity-building programs through CIRDAP as an implementation partner. The MOU follows joint initiatives by the two organizations under a similar agreement signed in 2016, according to a message UNB received from APO. The MoU, Dr Santhi said, will help them optimize the resources for achieving the UN Sustainable Development Goals (SDGs) through the agriculture transformation, future food, and rural development programs that the APO is focusing on for more sustainable socioeconomic development across our 20 member countries. Highlighting the importance of the agreement, CIRDAP Director General Tevita G BoseiwaqaTaginavulau commented that the two organizations had been collaborating over the past three years, particularly through international training programs to help countries in the Asia-Pacific region meet their SDG1 objective of ending poverty in all its forms everywhere and SDG2 to eradicate hunger, achieve food security and improved nutrition, and promote sustainable agriculture. 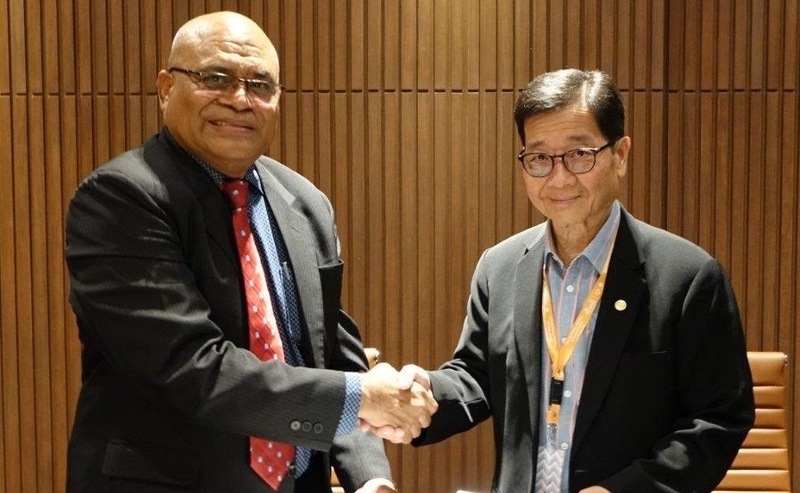 The agreement was officially signed by APO Secretary-General DrSanthi and CIRDAP Director General Tevita. Also present on the occasion were APO Director for Agriculture Dr Muhammad Saeed and Program Officer DrShaikhTanveerHossain. The APO is a regional intergovernmental organization established in May 1961 committed to improving productivity in the Asia-Pacific region. CIRDAP is a regional intergovernmental organization established in July 1979 with the mandate to promote regional cooperation on agrarian reform, rural development, and poverty eradication.